Crow beneath tree, Work in Progress | Robert Pollien, Artist: Maine, Wyoming, Landscape, Crows. Robert Pollien, Artist: Maine, Wyoming, Landscape, Crows. 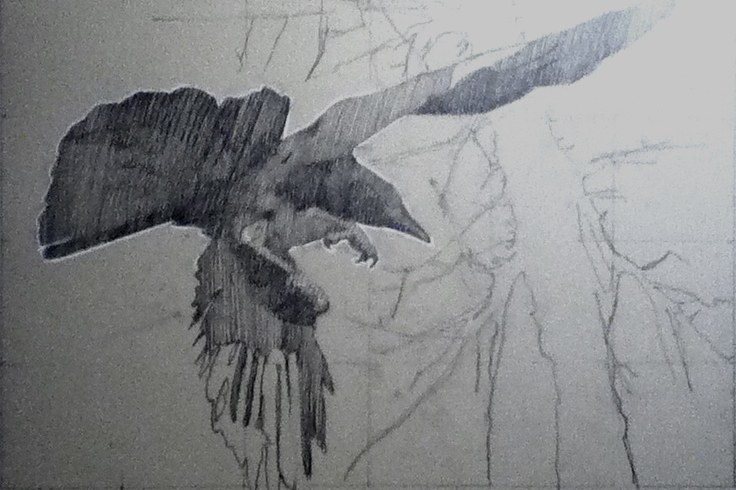 This entry was posted in crows, drawing, work in progress by admin. Bookmark the permalink.